Colton was a shy boy who had the cutest little "crooked smile". Many teachers, coaches and parents worked hard to get Colton to interact with them and after much prodding, were usually rewarded with his trade mark "crooked smile." Anyone who knew Colton knew he was an avid Oklahoma Sooner's fan. He wore Sooner red with pride, complete with official OU football helmet. One time, he and a friend were accused of high- jacking a neighbor's OSU flag following a Sooner victory over OSU. The flag mysteriously reappeared a few days later. Colton was beginning to come out of some of his shyness and developing into a very fine young man. He always strived to do what was right and had a very caring, sensitive heart. 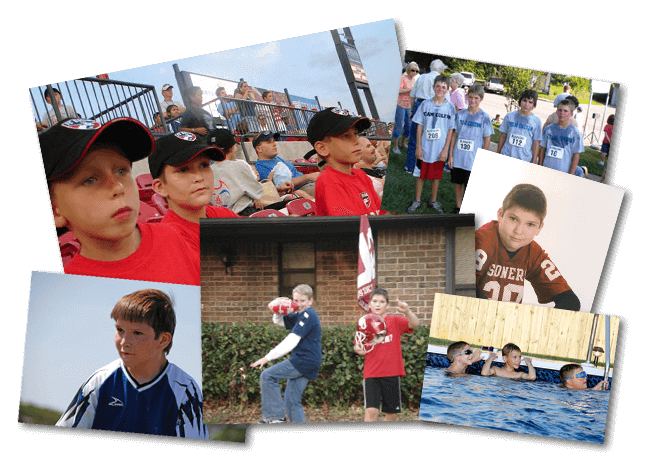 We hope that you enjoy these pictures of Colton and will always remember him with fondness.